Do your dog’s hobbies include begging for table scraps, cuddling on the clean couch, and sprinting off to chase squirrels in the park? None of these activities are unusual or cause for alarm, but it may be time to step in and start training your dog. From bright-eyed puppies to mature dogs, your four-legged friend has the ability to learn new tricks and behaviors at all stages in life. Whatever age and whatever the issue, there is no time like the present to start training your dog. When tackling training sessions, do not feel like you need to sit with your dog for hours until he masters the task. Long training sessions are likely to end with your frustration or your dog not paying attention. The most effective approach is to train your pup in short 10-15 minute increments. Try integrating two or three short training sessions into your daily routine. Not only will your dog be reminded of the new trick throughout the day, but you are also more likely to maintain your patience while your pup is still learning. Training your dog consistently can be more of a challenge for you than it is for your dog. However, when it comes to successful dog training, consistency is key! For example, if you are teaching your dog to sit before going outside, but he does not respond immediately, it may be tempting to open the door anyway. But by doing this, your dog is learning that he does not need to sit in order to go outside. Although consistency can be difficult, it is important not to make exceptions in your training. Another crucial part of regular training is making sure that all members of your household are on board. If you are trying to break a begging habit, but your kids keep feeding your pup scraps under the table, your training will be ineffective. Consistency is key for everyone that encounters your dog on a day-to-day basis. It is no secret that the easiest way to get your furry friend to behave is when a treat is on the line. Although some pet owners view this training strategy as bribery, treats are an effective way to incentivize your dog when learning a new skill. Keep little bags of treats in a variety of places throughout the house to keep your pup on his toes (or paws). 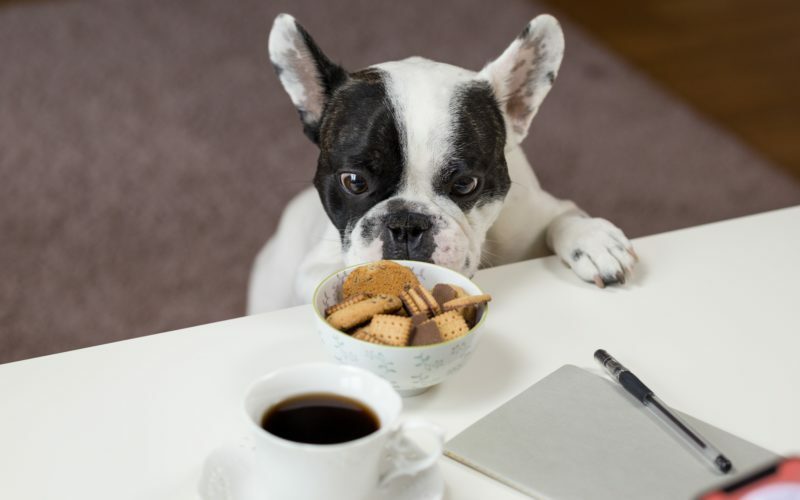 One thing to be wary of with treats is your dog’s calorie intake. Try using kibble for repetitive training and tricks that he has already mastered. Save the special treats for a new or challenging trick. We are quick to scold our dogs when they have done something naughty, but we often forget to praise them for good behavior. Dogs are very sensitive to our tone of voice, so remember to sweetly praise your pup when he isn’t breaking the rules. Praise can be given when your dog accomplishes a new skill, but it should also be given when he is simply behaving appropriately. For example, if a neighbor comes over and your dog does not bark, use praise to remind him that this behavior is appreciated. When giving your dog a command such as “come” or “sit,” you should only have to say the command once. By repeating the command over and over again, your dog is learning that he does not need to respond on the first try. This strategy may be difficult in the beginning phase of training, but once you instill this habit, it will make your life much easier. Once a new behavior is learned, don’t let it slip your dog’s mind. It is important to integrate this new trick or habit into your dog’s daily routine so that it stays fresh in his mind. Even though your dog may seem like a pro, continue practicing this behavior regularly and praising him for his actions. When your dog misbehaves, it is important not to use commands in order to administer discipline. For example, when your dog learns a new trick such as “come,” but you use it to bring him over to you and you scold him, he will no longer want to obey that command. Try to keep a clear separation between good habits and bad behavior. Training your dog at home is a great place to start, but it is also important that he can behave in front of guests and in public as well. After you have a good grasp on training at home, try taking your dog to a public space such as a park or a storefront. By training in a public space, your dog not only gets socialized, but he also learn that he must respond to commands in a variety of settings. If you notice an undesirable behavior in your dog, you should work on breaking that habit immediately. The longer your dog is allowed to practice this behavior, the more comfortable he will become. 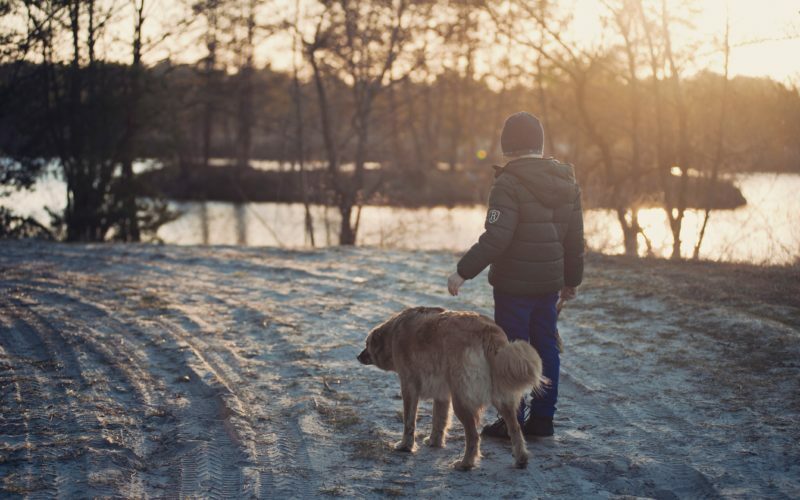 If the behavior is something you’ve allowed him to do for years, but are finally trying to stop, it is no surprise that your dog may be confused at first. However, you should start sooner rather than later so that these bad habits don’t become further engrained. Although it is easier said than done, you must stay patient when training your dog. Unfortunately, your pup doesn’t speak English and it will take time for your training to become second nature. Sticking with a consistent routine, daily training, proper incentives, and praise will slowly but surely ensure that your dog is on his best behavior!